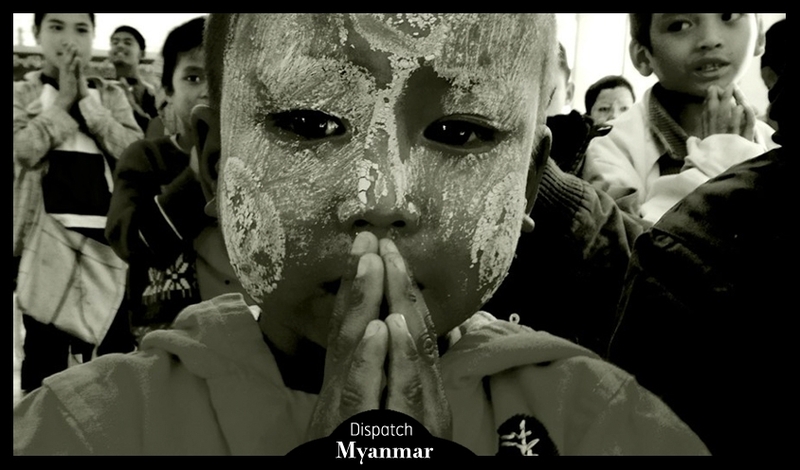 “On our second excursion we drove to the mountains to visit orphanages in Maymyo, an hour outside of Mandalay. The first was the Doe Pin Orphanage, which is run by monks and hosts 1500 boys from Myanmar’s regions. The monastery was very large and beautiful. It was lunchtime when we arrived. The boys made their daily soup inside an enormous steaming pot. Some boys prepared the garlic, onions, ginger, and chili pepper paste while others cleaned the vegetables, prepared the rice and finished off the soup with several bags of noodles. Each boy had a spoon that he kept under his belt. The boys eat nine large bags of rice a day. Camaraderie, prayer and obedience prevail. Gigi Stoll was commissioned by BELMOND to document CSR (corporate social responsibility) projects in Myanmar. Special Thanks to Leica Camera.